From Edith Nesbit’s classic collection The Book of Dragons, which is in the public domain. You can find the whole thing here. I like the style of direct, but detailed imagery in this story. I think the way stating things that are not at all obvious as though everyone knows them gave a whimsical feel to the story. 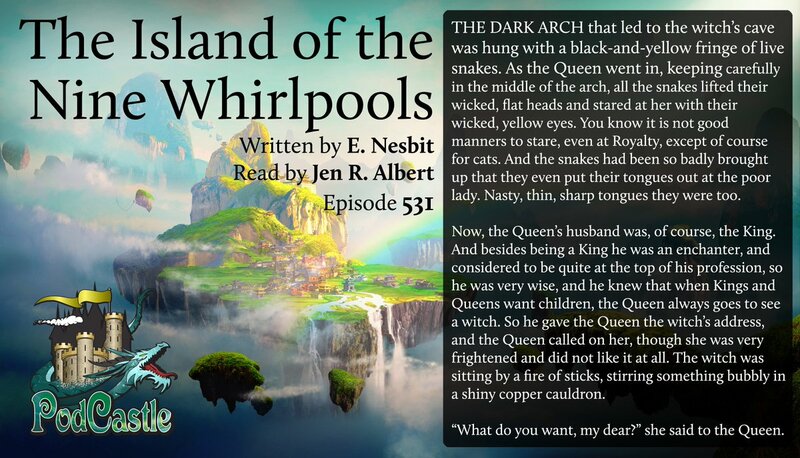 Thanks, PodCastle, for throwing in older stories now and then! I read this in "The Book of Dragons" when I was a kid. I always found it charming. This was delightful! Some of the exceptionally dry humor sprinkled throughout was great. This one got me: "Then the whole surface of the land turned itself over in its anxiety to get rid of something so wicked, and in the morning the field was found to be plowed as thoroughly as any young man at Oxford." I have to say, this was an enjoyable story. I liked how it held my attention, making me curious what was next, how things were going to unfold and end. Well done.